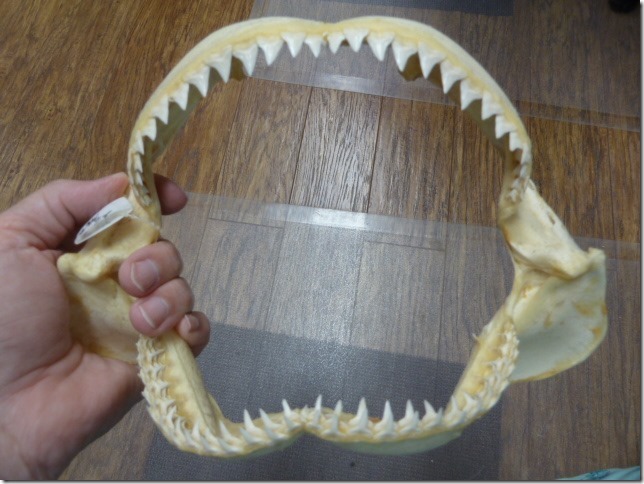 We ship no shark jaws outside the U.S. 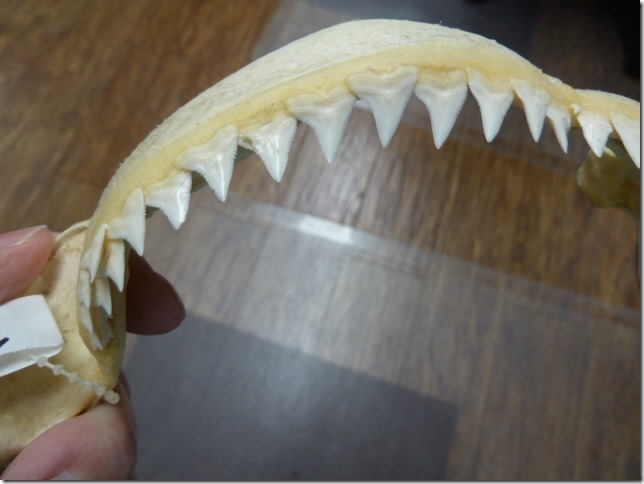 Page 2 - BRAMBLE Shark jaws (SJ-20 series) 50% off sale! 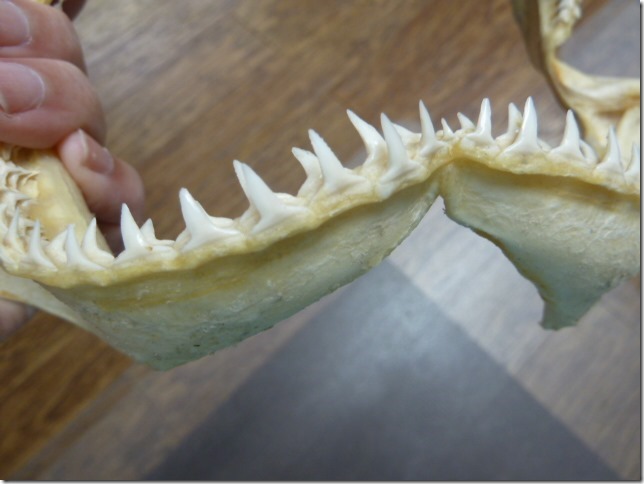 All shark jaws are obtained from the legal fishing industry in the Philippines, Taiwan, and off the coast of India in the Indian Ocean. These sharks are caught for their hides & meat. The jaws & teeth are sold as a collectible to recycle 100% of the shark. We are fierce conservationists. We do not support sport fishing, illegal taking of sharks, not using all of a shark that is caught; we don't even eat in restaurants that serve Shark Fin soup due to the cruel and wasteful nature of shark finning. We do not catch sharks ourselves. We support all conservation efforts for all animals including sharks, and the monitoring agencies tracking decreasing numbers of sharks and their vulnerability, and leglslation to put such sharks on a protected list as needed. 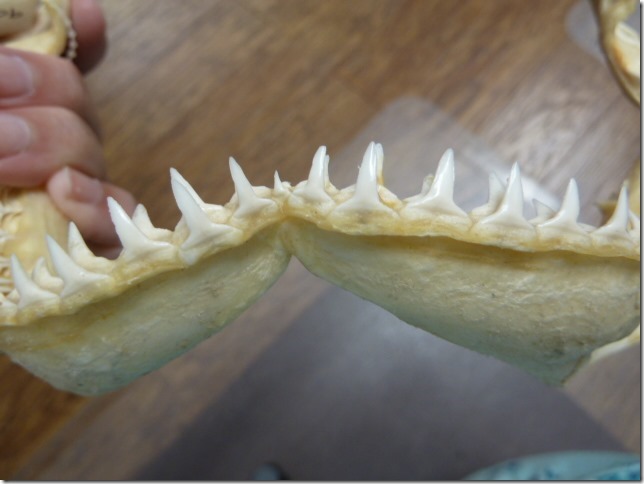 From basking shark that washed ashore in Hawaii. No obvious cause of death. This is a filter feeder species of shark. The basking shark is the second largest living fish, after the whale shark, and one of three plankton-eating sharks besides the whale shark and megamouth shark. It is a cosmopolitan migratory species, found in all the world's temperate oceans. It is a slow-moving filter feeder and has anatomical adaptations for filter feeding, such as a greatly enlarged mouth and highly developed gill rakers. Its snout is conical and the gill slits extend around the top and bottom of its head.The gill rakers, dark and bristle-like, are used to catch plankton as water filters through the mouth and over the gills. 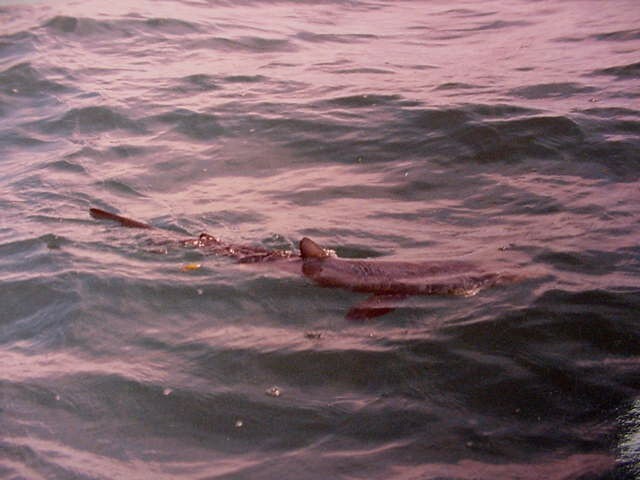 The basking shark is usually greyish-brown, with mottled skin. 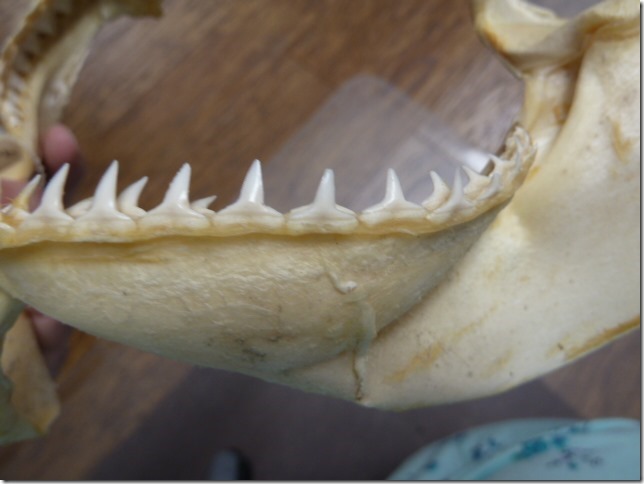 The caudal (tail) fin has a strong lateral keel and a crescent shape. 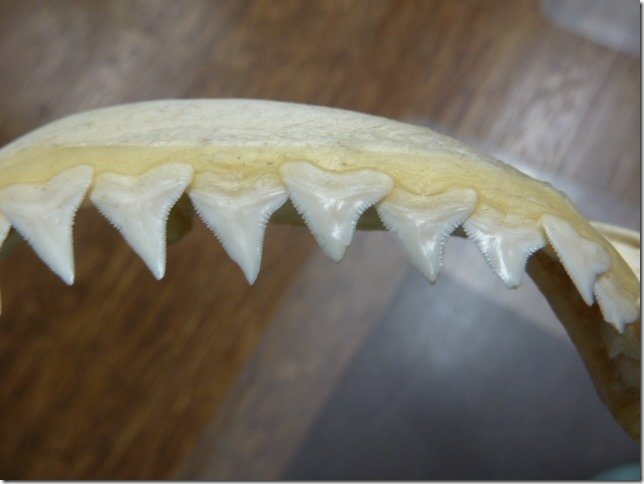 The teeth of the basking shark are very small and numerous, and often number one hundred per row. 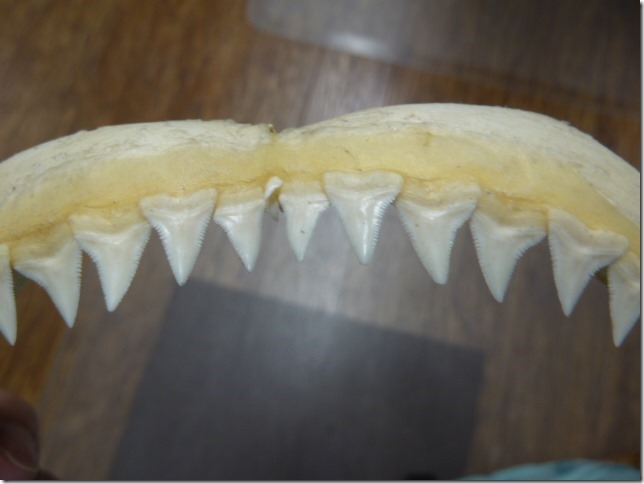 The teeth have a single conical cusp, are curved backwards, and are the same on both the upper and lower jaws. Adults typically reach 6-8 m (20-26 ft.) in length. 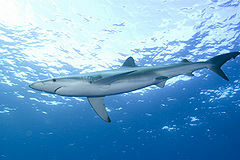 The bignose shark is a species of Requiem shark. Distributed worldwide in tropical and subtropical waters, this migratory shark frequents deep waters around the edges of the continental shelf.. It has a long, broad snout with prominent nasal skin flaps, and tall, triangular upper teeth. 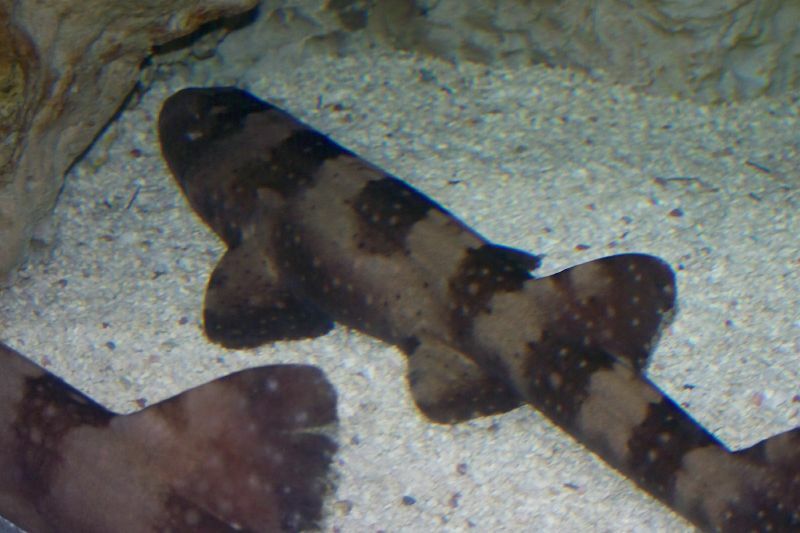 Blackspot is a requiem shark of the family Carcharhinidae, found in the Indo-West Pacific oceans. 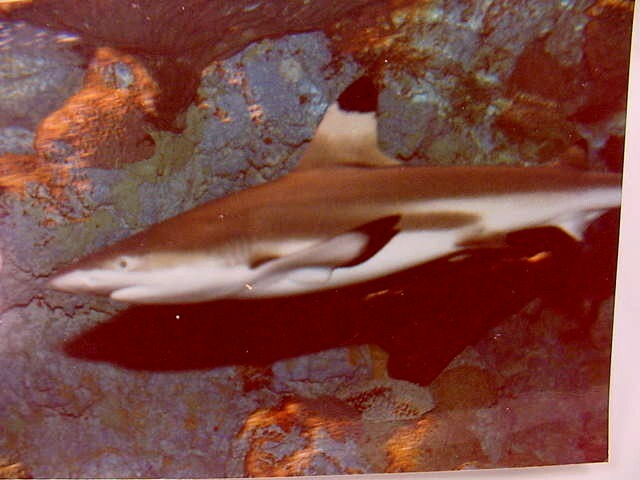 Blacktip shark is a close relative to the spinner shark. Scott is a scuba diver and shark feeder for a large aquarium, working under a private grant studying shark immune systems. He was feeding a 5 foot female Blacktip shark, wearing a chain mail gauntlet, pulling the fish back and forth the way you and I would play with a dog and bone to make her work for her supper. 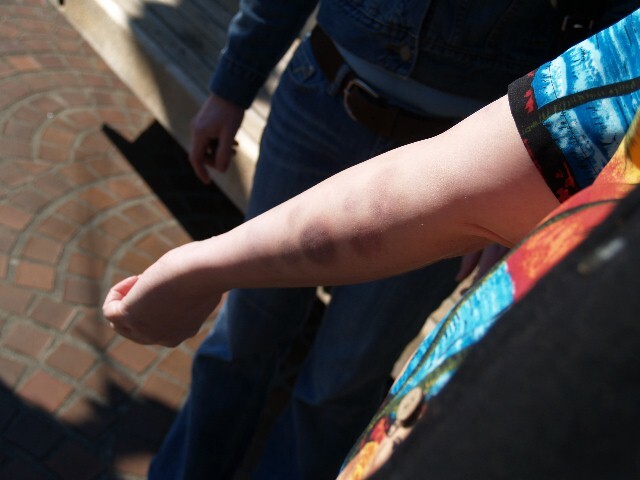 You can see the bruises on his right arm from her playful bite. 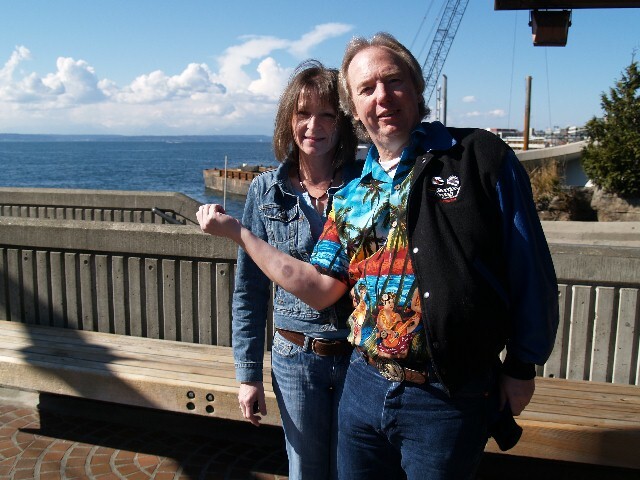 Friend Liz is a trauma nurse, though she reports that Scott generally tends to his own injuries most of the time. She is also involved in his study. Photos of a Blue Shark catch & release 30 miles off the Washington USA Coast (they are supposedly a warm water shark, though here they are in 1000 feet of water that does not exceed 46 degrees F. any time of the year). Scott chartered the boat for research to prove they were here, as the Fisheries officially deny they range up this far. They chummed for 3 hours and had over a dozen around the boat, some much larger than the one in the photo. 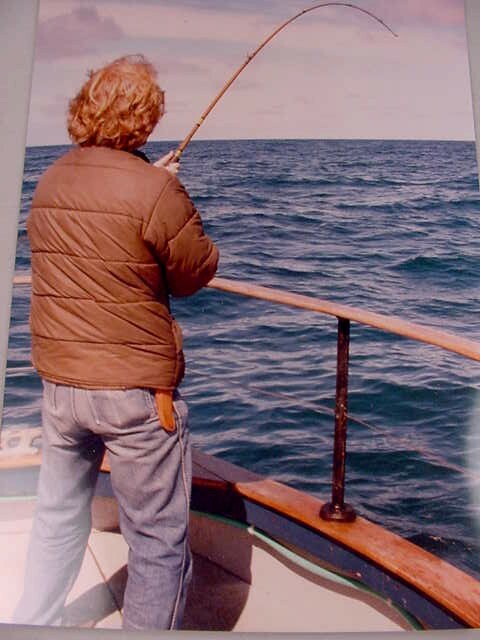 They also had a Porbeagle Shark in sight but not on a line. The boat: Misty Blue Eyes.